You have done all you can, and you are doing everything right, but some things are out of your control. Firearms. They are not for everyone. It is a huge responsibility!Make no mistake; your life will be completely altered once you use deadly force. If you do decide to use a handgun, find a gun store you trust, and that you can rent or practice with the gun. Try before you buy! Make sure the gun fits you! Make sure you are well trained. If you do find you have had to use a firearm as a form of defense, be prepared for a legal investigation. It is probably best to seek legal counsel. Pepper Spray. Pepper spray is considered an intermediate weapon, therefore you must be justified in order to use it. Be sure to research and purchase a quality product. A stream pattern is best for outdoor use. It has a longer range of dispersion and is less likely to be disrupted by the wind. You will know right away if it is working. Remember, no method of defense is 100% effective. Around 15% of the population will not be affected. 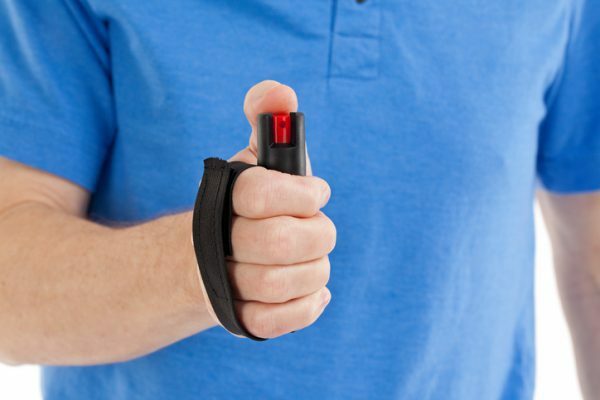 The primary advantage of pepper spray is that no one will be permanently injured. You will, however, feel the effect as some product will blow back on you. Be sure to keep and carry the spray someplace it will be available. Keep the product out of extreme heat or cold. Pay attention to expiration dates. Be prepared for the unexpected! Learn this and more in our extremely popular Personal Safety and Self Defense course. Instructor “PT” Taylor (with over 20 years experience as a law enforcement officer) will teach you the skills you need to learn to keep yourself safe at work and at play. The skills learned in this course can also be applied to the workplace. In fact, we’ve combined this course into our course curriculum for Builders, Real Estate Professionals, and other industries. To find this course for your industry, visit Certified Training Institute, then choose your industry and state. This entry was posted in Personal Protection and tagged Firearms, Hotel Personal Safety, Pepper spray, Personal Safety and Self Defense, Personal Safety Real Estate, Stun Guns.